Canadian supplier Magna International reported a 3.7 percent rise in quarterly profit, helped by strong vehicle output and sales in North America and Europe. Net income from continuing operations rose to $558 million in the second quarter ended June 30, from $538 million a year earlier. Sales rose about 16 percent to $9.44 billion, a record for the second quarter, Magna said. Magna said complete vehicle assembly sales increased 7 percent in the second quarter of 2016, compared to the second quarter of 2015, while complete vehicle assembly volume decreased 9 percent from the comparable quarter to approximately 26,000 units. Second-quarter North American and European light-vehicle production increased 2 percent and 6 percent, respectively, from a year earlier, Magna said. Auto sales have been strong so far this year, particularly in the United States, helped in part by low gasoline prices. The company raised its 2016 profit margin forecast on earnings before interest and taxes to about 8 percent from its previous estimate of high 7 percent. 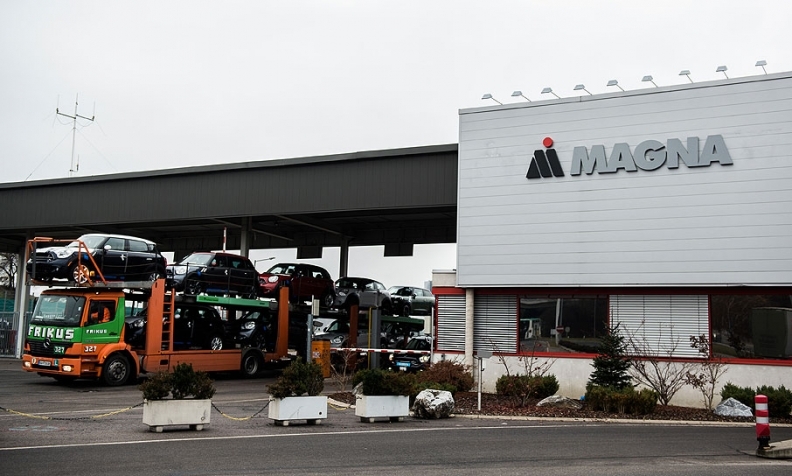 Magna, which bought German automotive supplier Telemotive in April to expand into vehicle connectivity, has General Motors, Volkswagen, BMW and Ford Motor Co. among its customers. "Going forward, we plan to remain highly focused on innovation to strengthen our competitive positioning for the Car of the Future," Magna CEO Don Walker said in a statement.